What kind of earbuds can $30 get you today? Discover the best wired and wireless options. What In-ear Headphones Can You Expect for 30 Dollars? How To Find Good Cheap Earbuds? How Do I Ensure My Earbuds Last Long? Jump to: The Best Earbuds under $30 | The Best Wireless Earbuds under $30 | FAQ | What Can You Expect for $30? | How to Make Earbuds Last? Don’t want to spend more than $30 on a new pair of in-ear headphones? We got you covered. Here you’ll find the top wired and wireless earbuds at this price. 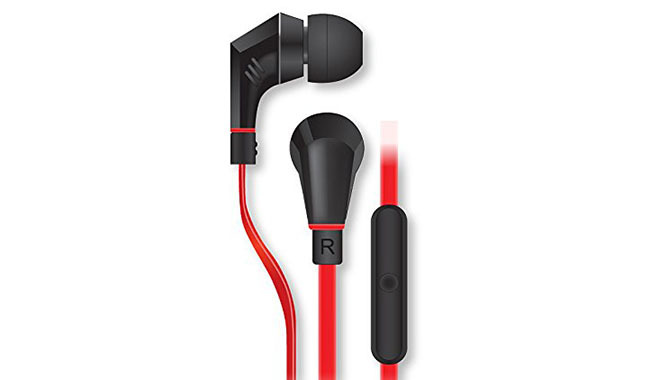 You can choose from great sounding to durable or workout earbuds, all in the same price range. The budget earbuds market is huge. There are a lot of different brands offering their headphones for little money and it takes quite a lot of time to research and review the best ones. Hopefully this guide will be of help to you. 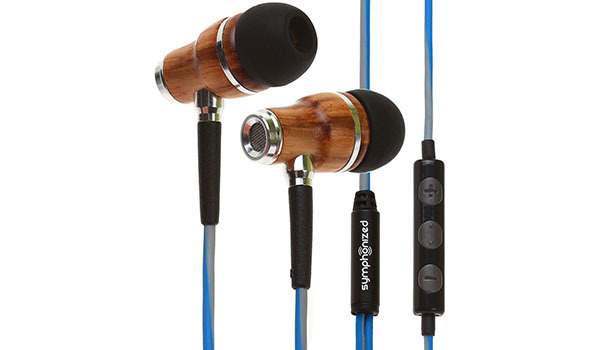 Amazing earbuds with wooden casing and melodic sound. We put the Symphonized NRG 3.0 on top of our list, because they are stylish, work exceptionally well and are the best overall you can get for less than $30. If you don’t want to spend a lot of money, but you’re still looking for quality, good sounding earbuds with stylish design, these are perfect for you. First of all, the sound is detailed, balanced and enjoyable overall. Plus, they look amazing because they’re made out of real wood (The wood also makes them lightweight). You get 6 different ear tips to find your perfect size, that makes them comfortable and noise isolating. The in-line microphone works as well. You can make phone calls and use voice control. Just don’t expect to use it in a noisy office. Microphonics is present. Rubbing against the cable makes sounds that you’ll hear in your earbuds, which is disturbing your calls or quiet music. Put them in a fixed position to solve it. Moreover, these aren’t waterproof so stay away from the water. Great sound for the price. Rich in details and the wood is providing warmer tones. It also adds more quality to the bass. A no-brainer for under $30. Symphonized NRG 3.0 are the best earbuds under $30 right now. Low price, great design and lovely sound will make you fall in love with them. Great sounding earbuds under $30. Brainwavz Delta headphones used to be extremely good, but their durability has gotten worse, that’s why we made them the “runner-up.” Nonetheless, this a great pair of in-ear headphones. For a low price, you get a great bargain. If you’re looking for affordable earbuds, that will satisfy your need for quality sound, these are an excellent choice. You can choose from 4 sizes of silicone ear tips, or you can use Comply foam S400 tips (which provide the best performance). With the right ear tips, the Deltas are super comfy for everyday use. Moreover, they don’t have a single problem with microphonics so the sound quality won’t get ruined when you’re moving. Furthermore, you get an in-line remote and microphone for phone calls and easy control. The cord is durable. It’s thick and rubberized so it will last a long time. Plus the low price is not apparent with the aluminum casing which is a premium touch. Not very light, so you have to get used to wearing them. Users say they easily fall out, if not adjusted correctly. Some users report incidents with glue failing to keep the buds together, though it’s a rare thing to happen. A clean and somewhat balanced sound. In fact, it slightly emphasizes highs and lows, but the bass is controlled and not “boomy” (disturbing). It’s an enjoyable sound signature for all music genres. 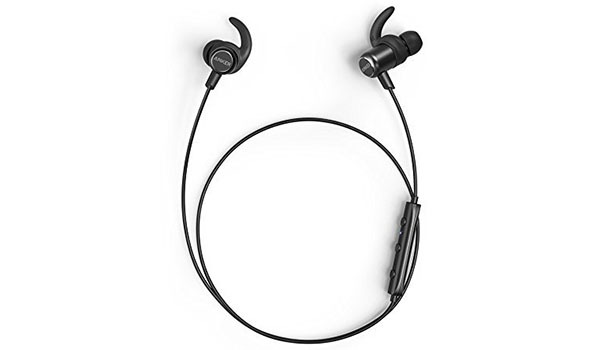 Brainwavz Delta in-ear headphones cost under $30 but don’t have the typical low-budget problems which make them one of the best choices in this category. The best bass $30 in-ear headphones can produce. Price: MSRP $49.99 Full review. 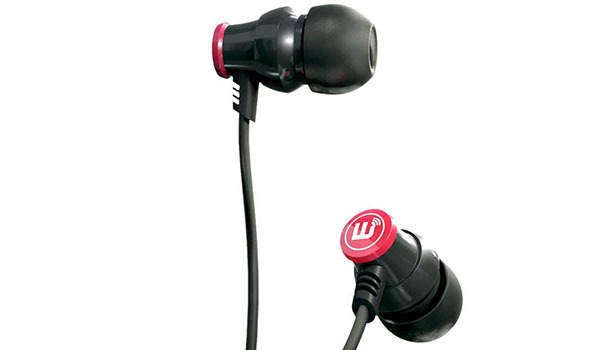 Definitely the best bass you can get for under $30 from in-ear earphones. If you’re a fan of powerful bass and enjoy listening to bass-heavy music like EDM, pop and hip hop, make sure to check these out. Outstanding, bass, for those who like it that way. Deep, overpowering lows is the sound signature which makes them perfect for bassheads. Also, the MDR-XB50AP come with a tangle-free cord, quality materials that make them last longer, loud volume even if you use them with your smartphone and lightweight, comfy design. Although they are big, they stick in ears well and can easily make you company on your daily activities. Another great thing is that noise isolation is better than with most low-priced earbuds. These used to cost more but have been discounted to fit right into the under $30 category. However, if you’re not a fan of powerful bass, these will be too strong for you. On the top of that, they are very big for IEM headphones, and the earbuds are sticking out of your ears. Notably, a perfect sound for hard bass lovers. The bass is dominant, and it’s overpowering other ranges. The middle and high ranges are recessed. This makes them an excellent choice for bass-intense music. 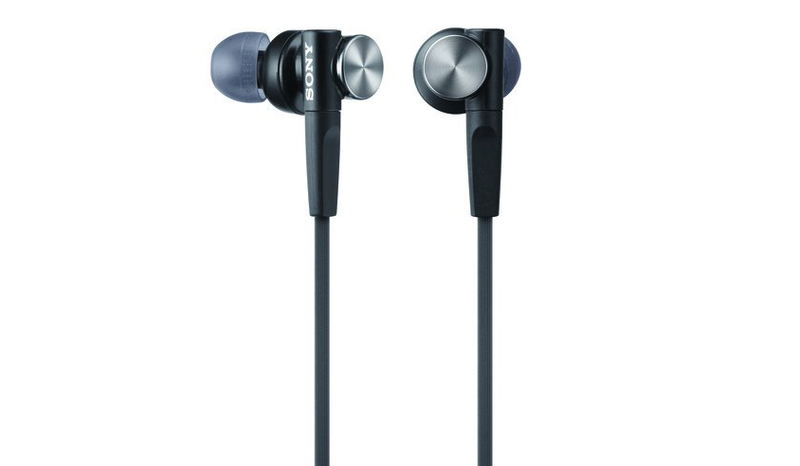 A sure winner of the best bass earbuds under $30 is the Sony MDR-XB50AP, read full review here. Loud, workout earbuds from a popular Brand that don’t disappoint. 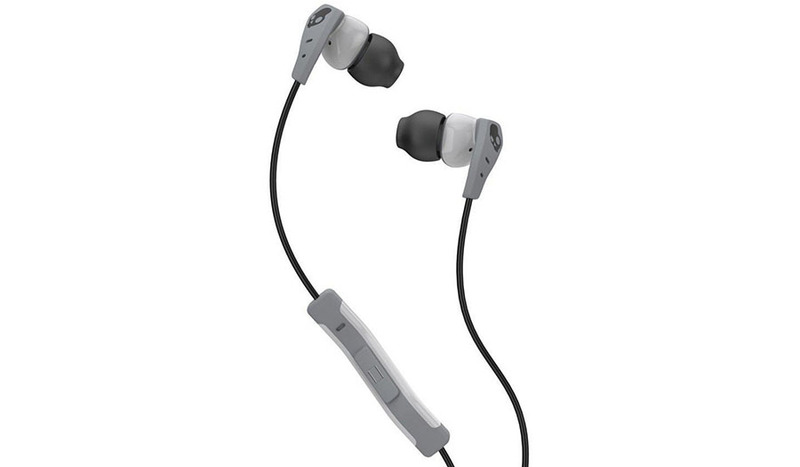 Skullcandy Method are sweatproof and cheap earbuds that are extremely loud. Being loud is where Skullcandy is best. 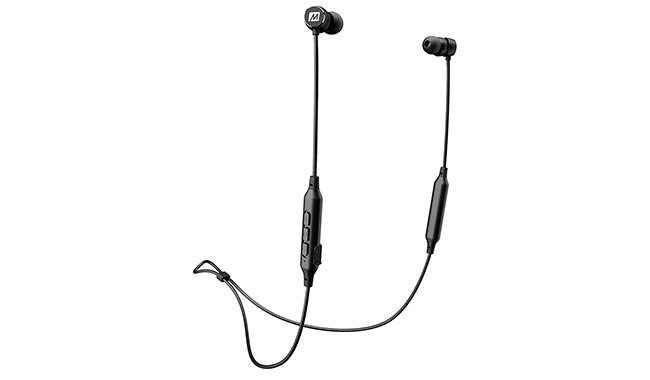 If you like to get sweaty in the gym, while listening to loud Skullcandy sound, these cheap in-ear headphones are a great choice. Apart from their under $30 price, some of the things you get are sweat resistance, a lasting fit suitable for activity (unique StickyGel eartips help) and a comfortable experience be it commuting downtown or taking a run. The option of making them very loud—while not healthy for your hearing— is an advantage for many people who like to blast their music. They don’t come without problems. The control button is poorly placed and hard to use during workouts. Additionally, the microphone is not the best as it makes you sound like you’re far away. The sound is clear, with powerful bass—and most importantly—it can get loud. Because of that, you can use them in any environment and still enjoy your music (and not the chit-chat of strangers). But please beware high volume can damage your hearing. As the loudest earbuds under $30, Skullcandy Method take the crown. A great choice if you’re into that. If microphone quality is vital, these are your best bet. Naztech NX85 are stylish earbuds that provide you the best microphone quality for a low price of under $30. If want earbuds under $30 that have a decent microphone for making phone calls and you can use for music, these are a great fit. The design looks premium, even though they’re made out of plastic. The cord is long and tangle-free. Furthermore, the built-in microphone performs better than most at this price range. You can comfortably make calls even in imperfect conditions. Also, they isolate most of the sound around you which always helps when talking to people. Arguably they aren’t the most comfortable IEMs, and they tend to fall out. So expect to readjust them a few times if you’re moving a lot. Although the sound is flat and tinny (they actually sound cheap) and lack bass, you shouldn’t buy them for music per se. Microphone clarity is the best you can get for this price. Even if you’re in a noisy place, the person you’re talking to will hear every word you say. Good microphones are hard to get, and even though this one isn’t amazing, it’s better than average for less than $30. For a decent mic quality, get yourself a pair of Naztech NX85. Here you’ll find top wireless headphones under 30 dollars. More specifically, Bluetooth earbuds (also known as in-ear headphones or in-ear monitors). The most reliable and feature-rich wireless earbuds under $30. Anker SoundBuds Slim+ are the best budget wireless headphones you can find on the market. Yes, their newest model is better, but also more expensive, so you can’t get then under $30. If you’re in the market for cheap wireless earbuds that are waterproof and actually sound decent, these are your top choice. They are waterproof (IPX5 rated), wireless and have 7-hour battery life. Charging takes only 90 minutes. Together with reliable Bluetooth you also get a stable and comfortable fit suitable for working out or everyday use. They never fall out. So they’re perfect for fast sports. You might find cheap wireless earbuds with better stats on paper, but many of those don’t perform well in reality. These are true and tested. Sound quality is not for audiophiles since they are cheap and wireless… And even though they are waterproof, an extended dip in the water could be fatal. They have a V-shaped sound signature which means more bass and treble in your music. It’s a suitable sound for every music genre but don’t expect too much. After all, these are much cheaper than high-end wireless in-ear headphones. Anker SoundBuds Slim+ are the best under $30 wireless IEMs at the moment. With reliable functionality and an enjoyable sound, you can’t miss with this purchase. MEE Audio’s pleasing in-ear headphones with Bluetooth. MEE Audio M9B are cheap, lightweight wireless headphones, you can use in everyday life while going to the gym and doing all the things you love. If you’re looking for cheap Bluetooth headphones that fit into the smallest pocket, these are perfect for you. The design is simple, so it’s suitable for many people with different styles. Decently stable for use in a gym and even while running. With a battery life of about 7 hours and a built-in microphone and remote control, you can make calls as well as remotely control your music. Moreover, the noise isolation is effective at blocking out ambient sounds. The main advantage is their low price and reliable performance across all aspects. Great, everyday wireless in-ear headphones. Low price comes with plastic-looking design, elemental selection of eartips, and the lack of voice control. The sound exposes headphone’s price. It is average which isn’t a bad thing because most earbuds at this price sound worse. The bass is deep and powerful, with recessed mids and rather detailed highs. It sounds good for most modern music. MEE Audio M9B wireless in-ear headphones are perfect if you want something to fit into your pocket, with a good fit, durability and enjoyable audio. While $30 is not a lot of many for headphones you can still expect solid products without significant weaknesses. Most in-ear monitors on the market cost more money, but there’s plenty of choice in the under $30 market. The reason why earbuds can be so cheap is because the manufacturing costs have been going down for a while now. There’s new competition from emerging markets where new companies are trying to attack market share by selling their products under market value. This is how you can get superb earbuds from unknown brands for a low price. While the same quality earphones would cost double the price from a major company. As you can see, most of the brands we recommend here aren’t the biggest and best-known ones. Do you want to know how to pick the best earbuds out of hundreds currently available? Read our guides. Well, you could research the hundreds of different earbuds and test them yourself, but that’s hard work. Now, we don’t claim we’re the absolute authority in this regards, but our guides are a pretty good start. In case you want to find a new gem just for yourself, you can compare our headphones with the ones you find yourself. This way you’ll know what to expect and what to compare. And when you find better earbuds under $30, please let us, and everyone else, know in the comments below. The ever more important question, should I get wired or wireless headphones? Since you have to consider the price of under $30 you can only choose from the low-end of budget wireless earbuds. This means you’ll have to give up on specific features that more expensive models have. You can get basic Bluetooth functionality and decent audio quality. You can forget about the EQ apps, noise cancellation or extra comfy eartips. Also, some of the new smartphones are ditching the 3.5mm plug, so the only option is wireless headphones. Thankfully, not all major phone manufacturers will make the same decision because people like wired headphones for many justified reasons. In case you’re the owner (or plan to be) of a phone without a headphone jack than wireless is your only option. On the other hand, wired earbuds generally have better sound quality and are less prone to failure. The battery in wireless headphones is slowly deteriorating, especially among the cheap models. Wired earbuds don’t have this problem. Why you should get wired? Why you should get wireless? There are a couple of things you can do to ensure a longer life for your new in-ear headphones. Basically, you should be kind towards them like you are to your friends. First of all, you keep them clothed. In this case, you should get a carrying case—preferably hard one—to store the in-ear monitors. The case protects them from physical harm as well as liquids. I know you all want to own indestructible earbuds because it’s a hassle taking good care of them but they don’t exist. The best way is to learn some discipline and make it a rule to store them in a sturdy carrying case. If this is too hard for you to do, you can at least put them in safe pockets and make sure they don’t entangle. Many times untangling the wires becomes so frustrating people use a bit too much force. The wires break or crack and the damage is done. Another good idea is to keep the earphones away from water and humidity. Sure, you can get sweatproof or even waterproof earbuds but they aren’t 100% resistant to humidity over the long run. It’s best not to push the envelope. It’s best to store them in a dry place. That’s pretty much it. Understand that your earbuds will probably not last forever. The best you can do is take good care of them and they’ll serve you well. Thank you for checking out our guide. Please let us know what you think in the comments section below.